Huge Savings Item! Free Shipping Included! 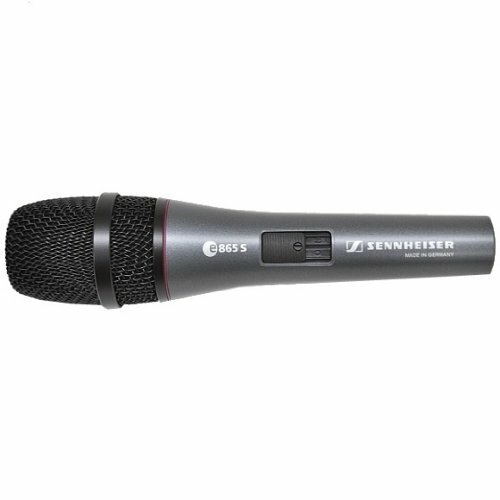 Save 18% on the Sennheiser e865 S Lead Vocal Condenser Microphone with Switch by Sennheiser at IGWT. MPN: E865-S. Hurry! Limited time offer. Offer valid only while supplies last. The e865 S is the highlight of evolution 800 Series stage microphones. It is a rugged cindenser mic that cuts easily through high on-stage levels. The e865 S is the highlight of evolution 800 Series stage microphones. It is a rugged cindenser mic that cuts easily through high on-stage levels. Full precise sound, especially in the treble. It has a noiseless On/Off switch.